Henry Courtemache ready to tow to Cheshire Fairgrounds with his Willys. Frank "Stroker" Smith ready to tow to Cheshire Fairgrounds with his less familiar #111 coupe. 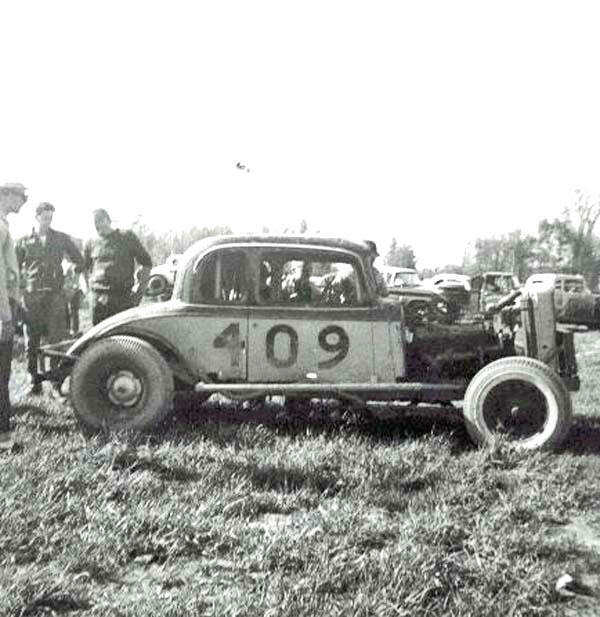 Ernie, with one of his earlier cars, painted and numbered to go with Smith's 311. This was formerly a #29. The car 29 which Bodreau bought and made into his 211. Sean Bodreau watches his dad.